Having written all the books in his Legends Of The First Empire series, Michael J. Sullivan assures us that we won't have to wait long in between books. The second book in the series, Age of Swords, isn't even out yet (to be released on the 25th of July this year) and we already have an early taste of the third book in the series. Yes, you heard that right. 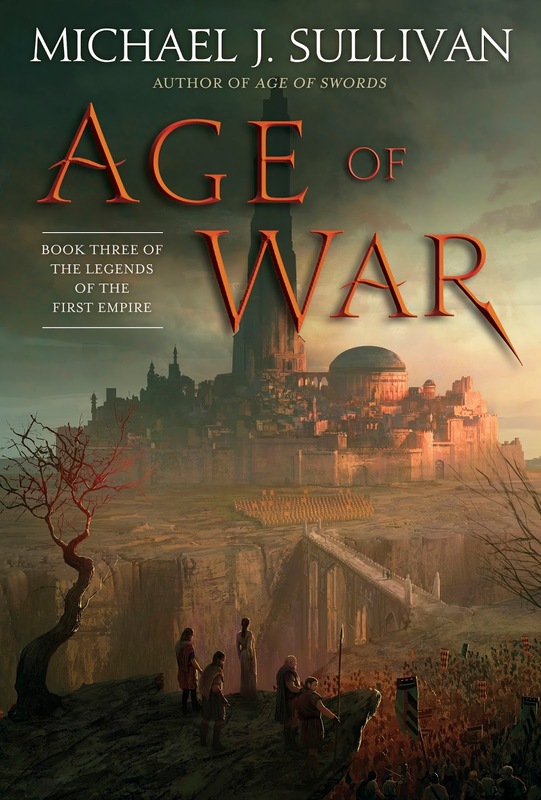 The third book in The Legends Of The First Empire series titled Age of War will be released seven (7) months after said predecessor and we have here the official cover for your eyes to feast upon. What a lovely! Thank you, Michael J. Sullivan, for not letting us wait for too long whilst enjoying a very good story. Check out the cover of Age of War by Michael J. Sullivan. What does it mean if the gods can be killed? The epic fantasy series that started with Age of Myth and Age of Swords continues. In Age of War, the battle between humankind and the cruel, god-like beings who once ruled them finally ignites. And it will be up to Persephone--the first woman to lead her tribe--to become the hero that the world needs. War arrives as the Battle of Grandford begins. The full force of the Fhrey army arrives and is seemingly invincible. As the fane’s forces prepare to overwhelm the hastily prepared human defense, the fate of mankind depends on the birth of a butterfly, the speed of a cripple, and the courage of a coward. Age of War by Michael J. Sullivan will be released on February 20, 2018.